IMPERIA ACADEMY OF TOURISM (IAT) was established in 2005, with the aim of providing professional skills and vocational trainings in Hospitality through various certification body mainly Persijilan Kemahiran Malaysia (Malaysia Certificate of Skill) from Department of Skills Development or known by JPK (www.skillsmalaysia.gov.my). The academy prides itself on the team of professional Instructors and friendly administration staffs understanding their education needs and wants; providing career guidance and advice; what’s more and unique the academy is located in an actual resort; Bukit Gambang Resort City in a small town in Pahang called Gambang (www.bgrc.com.my). We have a high expectations in our student. They are expected to be competent of both theoretical and practical knowledge and ready for the industry, hence Imperia is located in a hotel with a true hotel environment. Every area either it is Food & Beverage services, accommodation practices, reception techniques, bakery and pastry, kitchen practices complements each other in the culinary world and students will be able to apply their knowledge and skills in creating their own distinctive styles. Upon completion of their studies, they will be awarded a Sijil Kemahiran Malaysia (SKM) Certificate from the Department of Skills Development (JPK), and a Certificate or Diploma or Advanced Diploma from the City & Guilds (C&G) of London Institute, UK. Students then will be place for a permanent employment with Bukit Gambang Resort City (www.bgrc.com.my), this is one of IAT strength and uniqueness – student learn and employment ready! Welcome to IMPERIA ACADEMY OF TOURISM (IAT), Malaysia’s premier institution in providing knowledge and skills in Hospitality and Tourism Education. The education and training you are about to undergo at IAT will give you a head start in the fast growing hospitality and tourism industry by moulding you into a competent and skilled professional. You are given an opportunity for a permanent employment at our group of companies namely Bukit Gambang Resort City and other partner hotels or resorts upon successfully completion of your study at IAT. The training you shall receive at the Academy will also help you cope with the pressures and demands of every practical aspect of the industry. However, your lectures alone cannot help you accomplish all of it. You must possess the initiative and willingness to learn. The thirst for knowledge and skills, the right attitude, coupled with an ambition to be the best must drive you towards attaining a high standard of performance. Notwithstanding the pressure of your coursework, there is still room for extracurricular activities in games and social activities organized by the Student Council. The hospitality and tourism industry will always have a place for an individual with determination, high motivation and willingness to learn. The spirit of teamwork, the pride of a job well done and tolerance are additional values you must develop as you embark on the path towards your future career. We want to be proud of you and we want you to take pride in your Academy. At IMPERIA Academy of Tourism, student without a minimum entry requirement for admission to an academic program such as Diploma can have a choice to study in a certificate level in the hospitality field. The certificate program is accredited by the Ministry of Human Resource through the Department of Skills Development or commonly known Jabatan Pembangunan Kemahiran (JPK). The certificate program offered are called Malaysian Skills Certificate in Kitchen Practice of Level 2 and Level 3, F&B Service of Level 2 and Level 3, Accommodation Practice Level 3, Guest Service Operation of Level 3 and few other unique programs such as Horse Care, Elephant Husbandry, Birds Conservation and Tourist Guide. Students graduated with this certification has been widely sought by the industry and jobs placement has not been a major issue to these students. Human Resource Development (PSMB) under the Ministry of Human Resources had appointed IMPERIA to run its program catered specifically for the industry, Hotel Industry Apprenticeship Scheme (HIAS). Students will be exposed in the field beyond the classroom situation with the actual practical required in the industry. The theory of teaching and learning is equipped with the practical to ensure the students understand and fit in the actual industry. The program at IAT, the Malaysian Skills Certificate (SKM) is to mould the students to be “industry-ready”, so they will be ready to face the actual scenario in the industry. 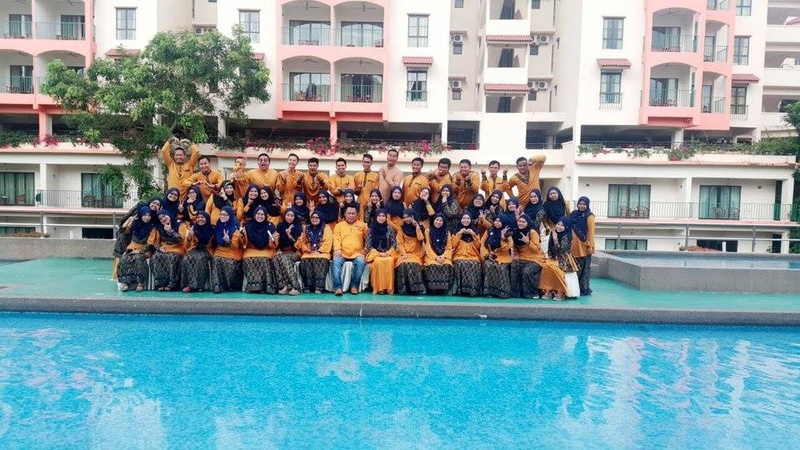 IAT arrange and monitor their practical training at Bukit Gambang Resort City to ensure they gained the necessary knowledge and skill preparing them to their successful and professional hospitality career. IAT also provides all type of short courses such soft skills, team building and we can customize any training especially in hospitality to your needs. Academy that emphasize on industry relevancy and competency, IAT’s team of tutors, instructors and staffs have had years of academic and industry experience which they bring into the classroom. Imperia Academy of Tourism is an approved Class A training centre by Human Resource Development Limited or PSMB. IAT also an accredited centre by Department of Skills Development or Jabatan Pembangunan Kemahiran (JPK) at which a division under Human Resources Ministry, Malaysia. The department is responsible for co-ordination and control of skills training or development under a framework of National Occupational Skills Standard (NOSS) with producing a certification of Malaysia Skills Certificate of 5-levels. IAT also an accredited centre for City & Guilds, London, UK which is the only awarding body solely dedicated to vocational training in UK. City & Guilds qualifications are most sought from employers because the programmes were developed with the key industries body that ensures the relevancy and most recent. IAT goes international; July 2016, IAT had attained an accreditation from JPK for opening a branch or off shore center in Sekolah Menengah Kejuruan Negeri 33 Jakarta, Indonesia. IAT will always strive for a quality in its delivering the skills knowledge for producing the best talent in the industry. IAT constantly looking for a candidates who are willing to stretch their capabilities, ideas and innovative thinking to join IAT together to mould our youngsters to be one the professional in hospitality industry. If you are one of them, drop your application to us!